I may integrate short film extracts in order to improve your fluency and develop more understanding of more colloquial French – but will discuss this with the group beforehand. 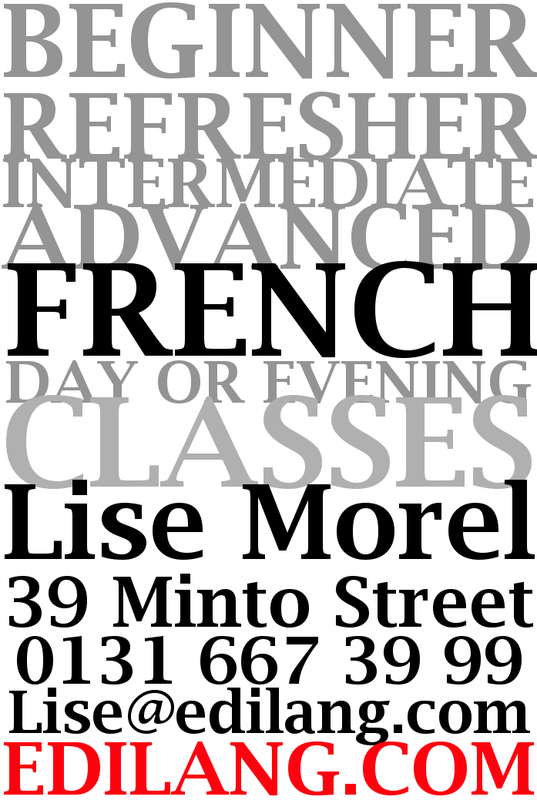 Interested in joining Lise’s Intermediate 2 French evening class? Why not contact Lise today to check if this is the right level for you? >>> Free 30 minutes assessment of your present level!